LonAire Charter Flying Service is Committed to your Success! LonAire provides charter flying services 24 hours a day, 7 days a week: day or night, and in most weather conditions. Our aircraft, N47TT is a pressurized, air conditioned, Jetprop 840 Twin Commander with the Dash-Ten engine Conversion. The 1,000 hp per engine conversion allows a cruising speed of 250 mph; an endurance of 5 hours, when full of fuel; and a range of 1,250 miles. N47TT has a flying service ceiling of 30,000 feet. This usually allows us to get above most of the turbulence and weather - and provide our charter flying customers with a smooth ride. 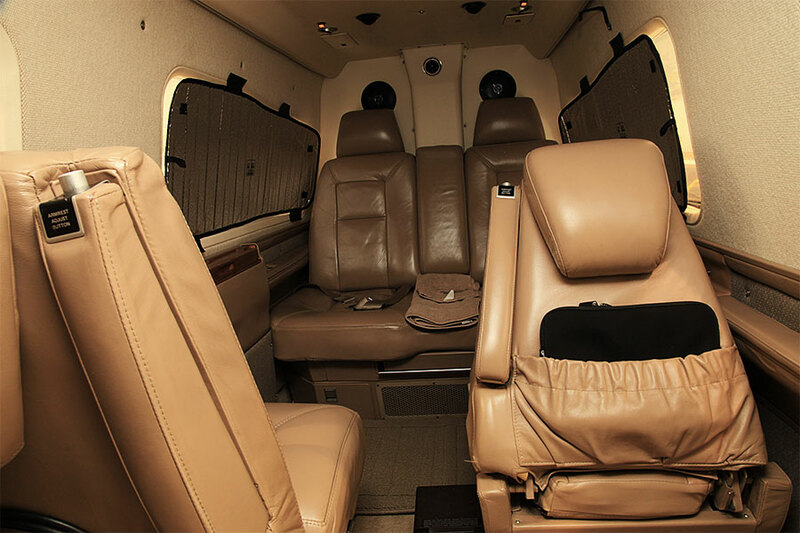 The passengers traveling with Lonaire Charter Flying Service enjoy private comfort in the spacious cabin of the Jetprop 840 Twin Commander. When configured for passengers, there is plenty of room in our Jetprop 840 Twin Commander for five adults plus the pilot. There is also a side facing seat that is comfortable for shorter trips or for younger passengers. The aft cabin has club style seating with reclining seats and a fold out table. Let Lonaire Charter Flying Service allow you to customize your business and personal travel needs. You can travel when you want; where you want; to many more airports than are served by commercial flights; in privacy; in comfort; very quickly and safely. All without that TSA pat down, long lines and layovers, or the destruction of your luggage and its contents. What wonderful feedback from the front lines!! That speaks directly to the care and professionalism that is continually demonstrated by your dedicated team. We greatly appreciate all the care and support that you give to our participants who are going through difficult and stressful times. Words cannot express our gratitude for your steadfast conviction of going "above and beyond" in every situation! I just wanted to say thank you for your prompt service and getting us to Rochester Saturday night so fast. Jim had his transplant and all is going great! Our pilot Lonnie Leslie was amazing. He was so caring and very professional before, during, and after our flight. Again.... Thank you so very much.